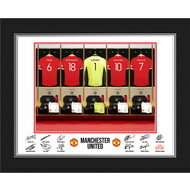 One of our best-selling Manchester United FC gifts of all time, this personalised dressing room print is the ultimate must-have gift for any Manchester United FC fan. 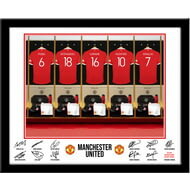 One of our best-selling Manchester United gifts of all time, this personalised dressing room photo is the ultimate must-have for any Red Devils fan. 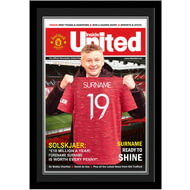 This truly stunning gift is sure to raise a smile as the recipient sees their Surname on the back of the shirt held by the Manchester United FC manager in the club grounds. 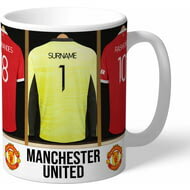 One of our best-selling Manchester United FC gifts of all time, this personalised goal keeper dressing room mug is the ultimate must-have for any Manchester United FC fan. 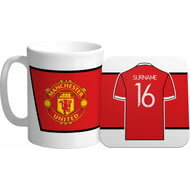 This truly stunning gift is sure to raise a smile as the recipient sees their personalisation on the Manchester United Subbuteo Mug. 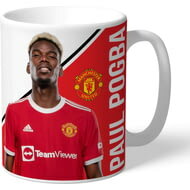 Do you know a dedicated Pogba fan? 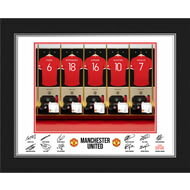 This stunning gift is sure to raise a smile, as the recipient receives a personal message from their favourite Manchester United FC player. 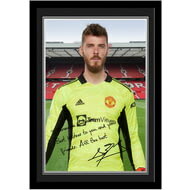 Do you know a dedicated De Gea fan? 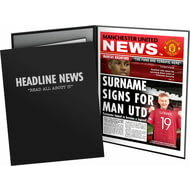 This stunning gift is sure to raise a smile, as the recipient receives a personal message from their favourite Manchester United FC player. 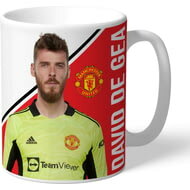 This truly stunning gift is sure to raise a smile as the recipient sees their personalisation on the Manchester United Evolution Mug. 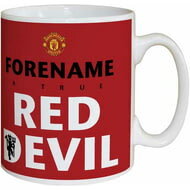 This truly stunning gift is sure to raise a smile as the recipient sees their personalisation on the Manchester United Red Devil. 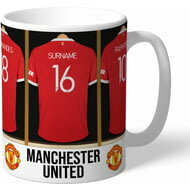 This truly stunning gift is sure to raise a smile as the recipient sees their personalisation on the Manchester United Retro Shirt Mug. 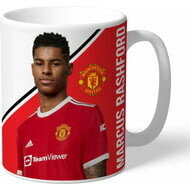 Do you know a dedicated Rashford fan? 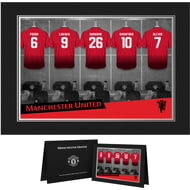 This stunning gift is sure to raise a smile, as the recipient receives a personal message from their favourite Manchester United FC player. 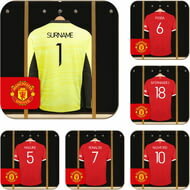 This is a fabulous present for any Manchester United FC fan and is approved and fully licensed by the club themselves. 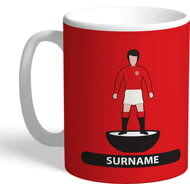 This is a fabulous present for any Manchester United FC fan and is approved and fully licensed by the club. 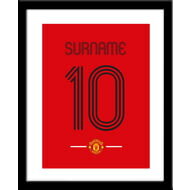 This Manchester United Retro Shirt Print is a fantastic gift for any occasion. Do you know a dedicated Mata fan? 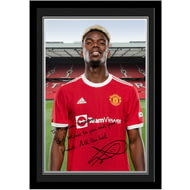 This stunning gift is sure to raise a smile, as the recipient receives a personal message from their favourite Manchester United FC player. 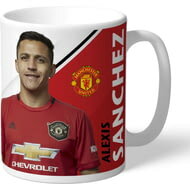 Do you know a dedicated Sanchez fan? 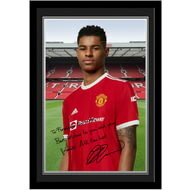 This stunning gift is sure to raise a smile, as the recipient receives a personal message from their favourite Manchester United FC player. 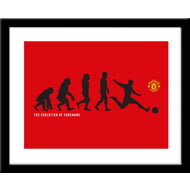 This Manchester United Evolution Print is the perfect gift for any occasion. 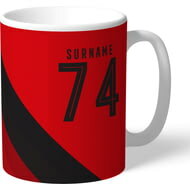 This truly stunning gift is sure to raise a smile as the recipient sees their personalisation on the Manchester United Stripe Mug. 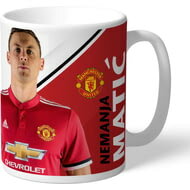 Do you know a dedicated Matic fan? 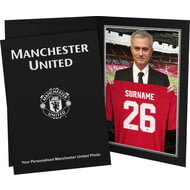 This stunning gift is sure to raise a smile, as the recipient receives a personal message from their favourite Manchester United FC player. 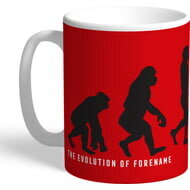 Do you know a dedicated Martial fan? 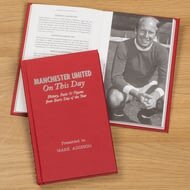 This stunning gift is sure to raise a smile, as the recipient receives a personal message from their favourite Manchester United FC player. 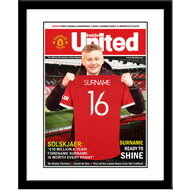 Our Personalised Manchester United FC Magazine Cover is sure to raise a smile as they see their Surname on the shirt held by the manager. 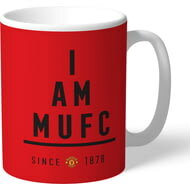 This truly stunning gift is sure to raise a smile as the recipient sees their personalisation on the Manchester United I Am CLUB Mug. 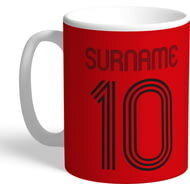 One of our best-selling Manchester United FC gifts of all time, this personalised away dressing room mug is the ultimate must-have for any Manchester United FC fan. 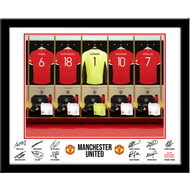 One of our best-selling Manchester United FC gifts of all time, this personalised dressing room photo is the ultimate must-have gift for any Manchester United FC fan. 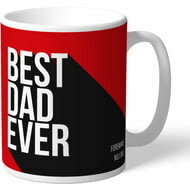 This truly stunning gift is sure to raise a smile as the recipient sees their personalisation on the Manchester United Best Dad Ever Mug. 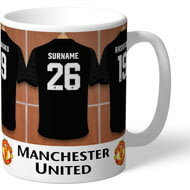 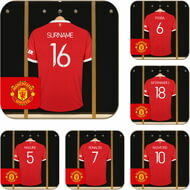 This is a fabulous gift for any Manchester United FC fan and is approved and fully licensed by Manchester United FC. 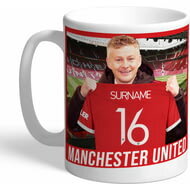 This truly stunning gift is sure to raise a smile as they see their Surname on the shirt held by the Manchester United FC manager.